Groomed in gospel, trained in opera, honed in pop, Nita's voice is a remarkable instrument that's difficult to define. But when you hear her power chops and sweet high tones, you know you are in the presence of greatness. Pulling all these elements together, Nita has found a beautiful blend of music that soothes the soul and shares stories from life on this her latest CD LifeStories showcasing her songwriting and producing abilities as well. A former Miss Louisiana, Nita took her southern roots, charm and show-stopping talent to Los Angeles were her incredible voice carried her to Female Grand Champion on "Star Search". With a vibrant and dynamic stage presence that is unequaled, Nita is comfortable singing in any setting, from an intimate club to the arena stages, as well as stage, television and movies. In 2005, she was the guest performer at The Freedom Awards honoring Oprah Winfrey, Ruby Dee and Paul Rusesabagnia. She sang duets with Andrea Bocelli during his 2006 Winter Tour singing to tens of thousands nightly. Nita often travels with Multi-Grammy winner David Foster as his featured artist. She has performed and shared the stage with countless celebrities including Faith Hill, Celine Dion, Richard Marx, Josh Groban, Stevie Wonder and Yolanda Adams. 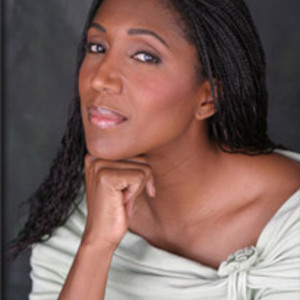 Nita's current CD follows two other independent projects titled "Nita Whitaker" and "One Voice". Most recently she performed "Porgy and Bess" with the Chorale Bel Canto Symphony as well as touring with jazz trumpeter Chris Botti earlier this year.